In these economically difficult times many people are looking closer to home to take their holidays. In the example of the UK, travellers have previously taken advantage of cheap flights and package holidays for that much looked forward to two weeks abroad. This trend seems to be on the decline and holidaying in your own country is growing in popularity. There are many options available but a motorhome holiday offers such freedom that many can’t resist. Money may be tight but this doesn’t mean those precious two weeks can’t still be an amazing holiday experience. The UK has so many beautiful areas, with over 11,000 miles of coastline and 15 national parks there are so many places to escape to, especially in the comfort of a motorhome. These amazing vehicles can take you from the bright lights of the city to the calm of the sea, provide romantic dinners for two and starlight picnics all with your bed only a stones throw away. 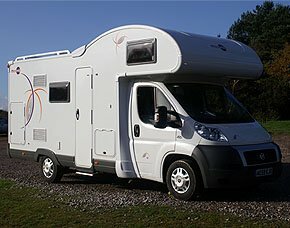 Hiring a vehicle is a good way to try the motorhome experience safe in the knowledge you are covered by the hire company insurance, RAC or another breakdown insurance.